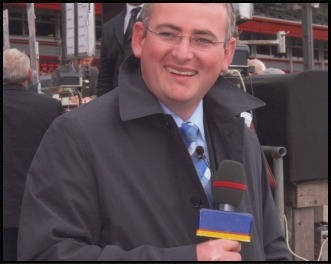 Brian Gleeson is one of Irish racing's most well-known faces, he has entertained and informed racing fans all over Ireland and the U.K. through his work for RTE, TV3 and the BBC. Radio listeners are familiar with his distinctive tones through his regular racing reports for local and national stations. Brian was an official ambassador to the 150th Melbourne Cup. However, Brian�s business interests stretch further than his public profile. His P.R. company, Brian Gleeson Racing Promotions, is leader in its field in event promotion, sponsorship co-ordination, corporate entertainment and advertising for the horse racing industry. His auctioneering business, Liam Gleeson and Sons, specialises in property broking for clients from all over the country. This site provides an introduction to Brian�s work and business. To learn more about Brian's media career, click here. 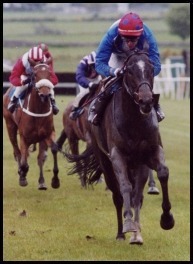 To find out about Brian Gleeson Racing Promotions, click here. For Liam Gleeson and Sons, Property Brokers, click here.